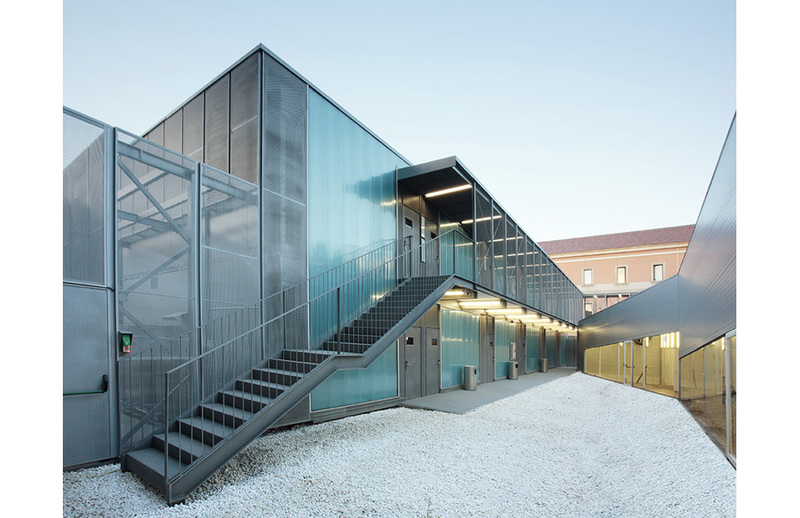 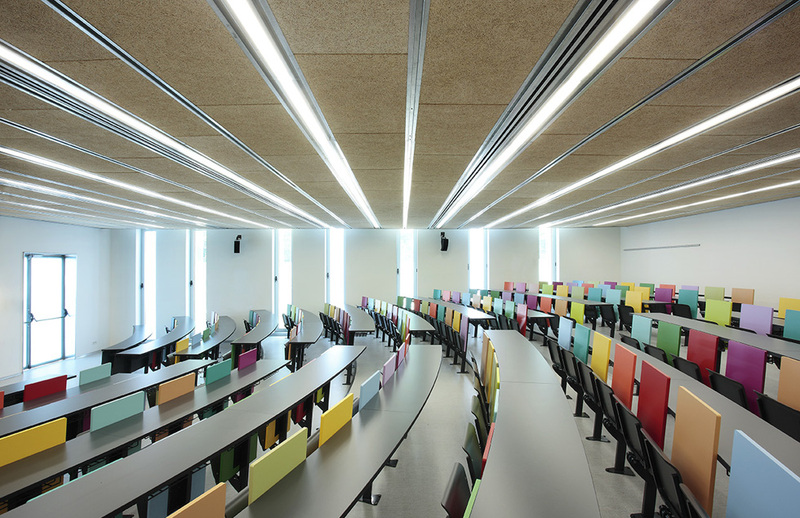 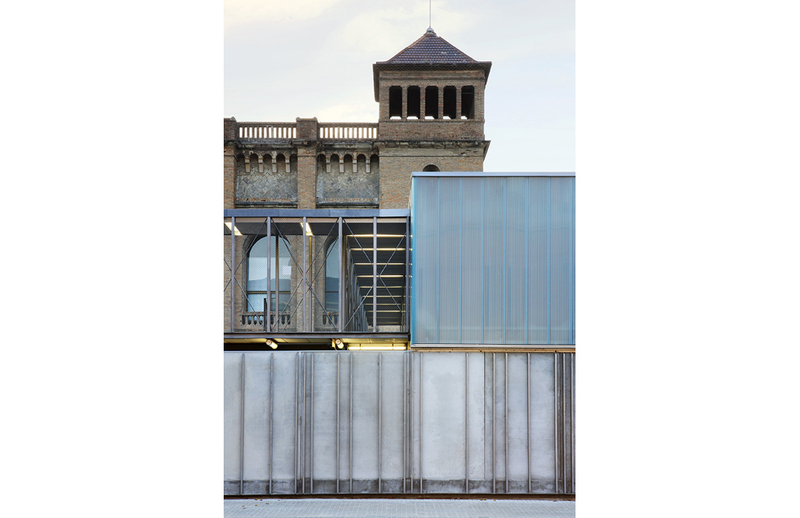 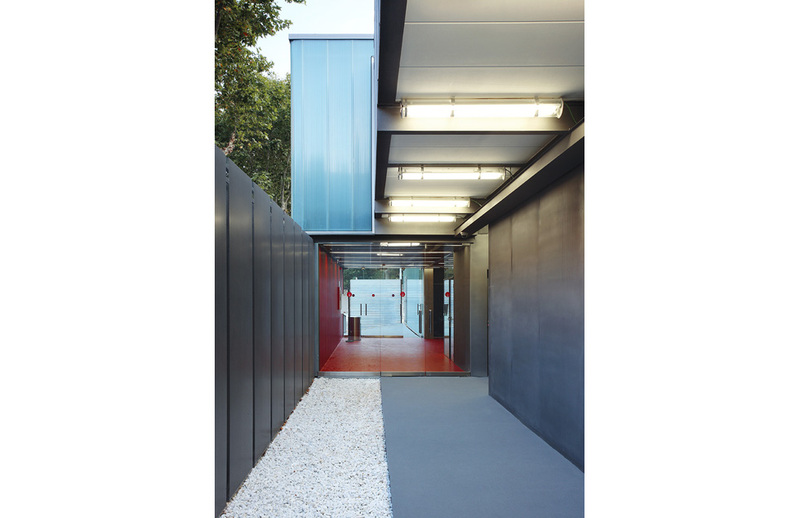 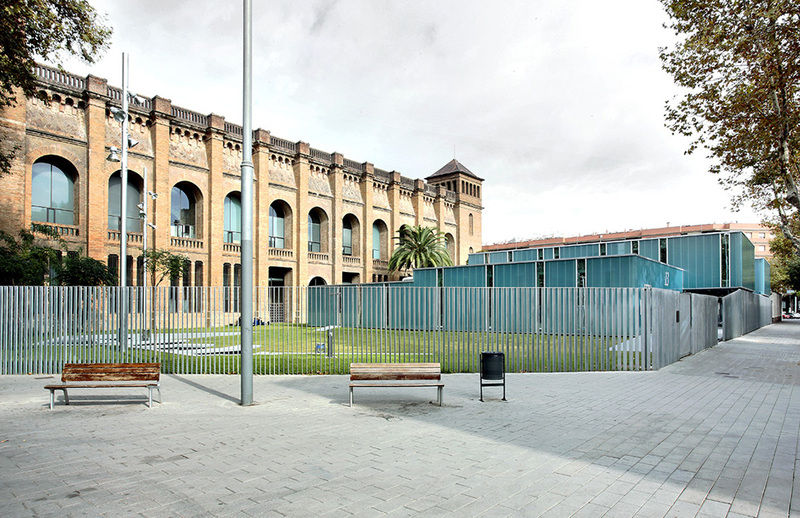 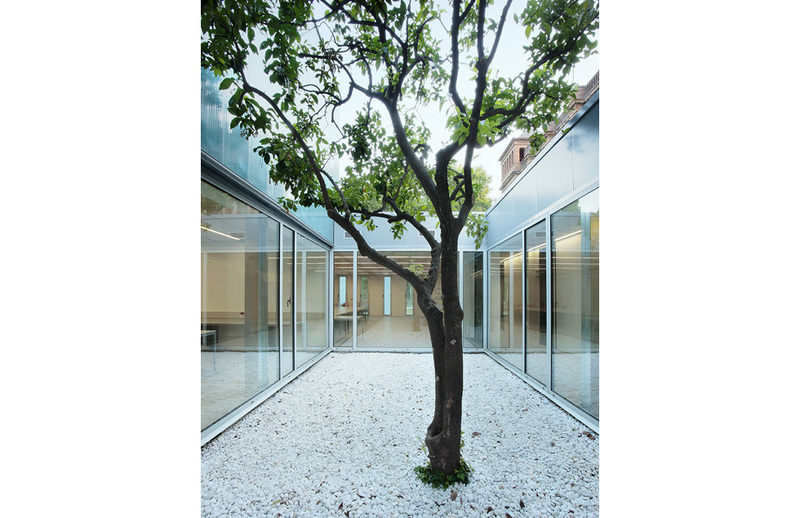 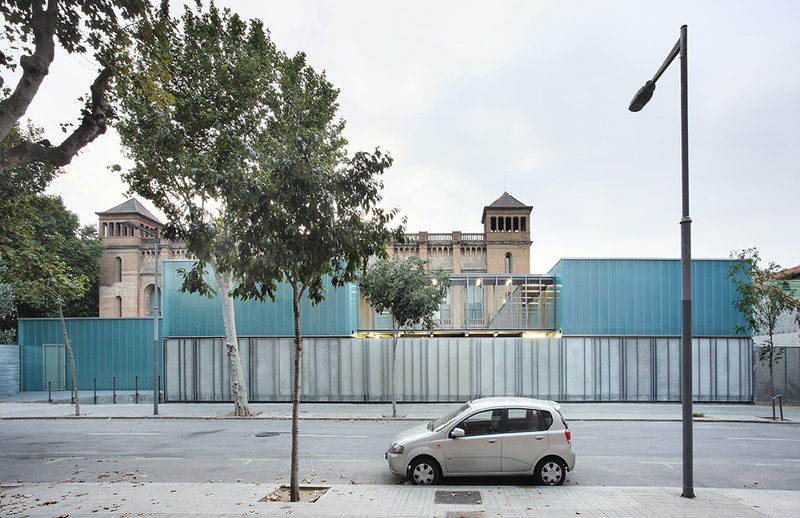 The temporary extension is located in the Univercity Pombeu Fabra Social Sciences and humanities urban camps, next to the library built inside the historical water reservoir of the Ciutadella park.In this project emphasis was placed on the construction process. 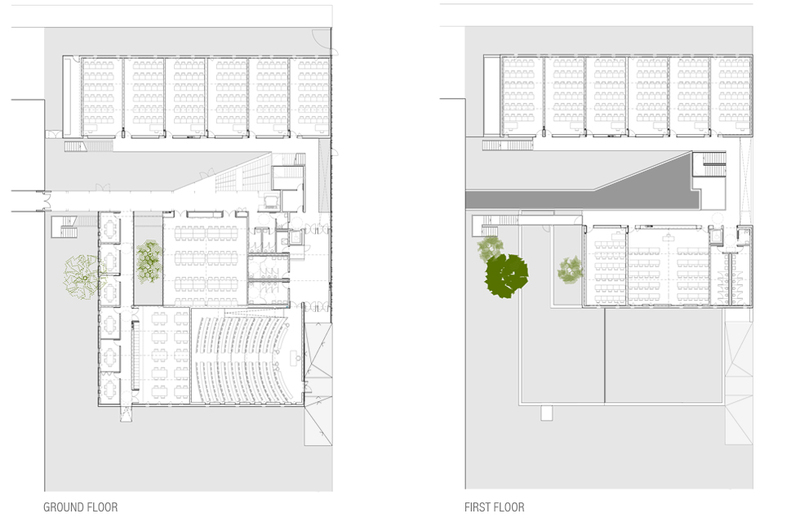 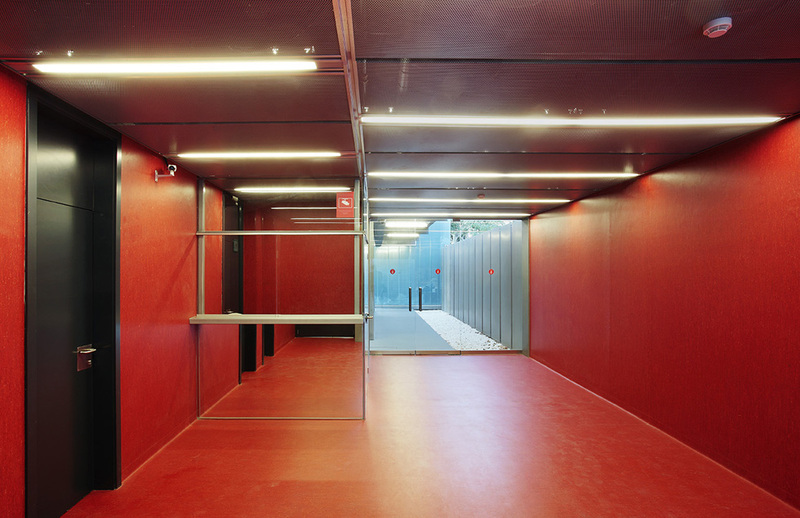 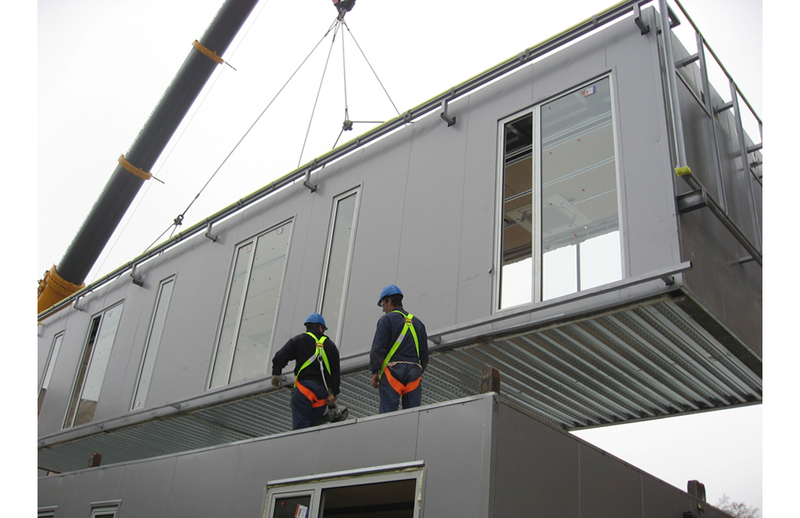 The whole building was constructed offsite and then transported. 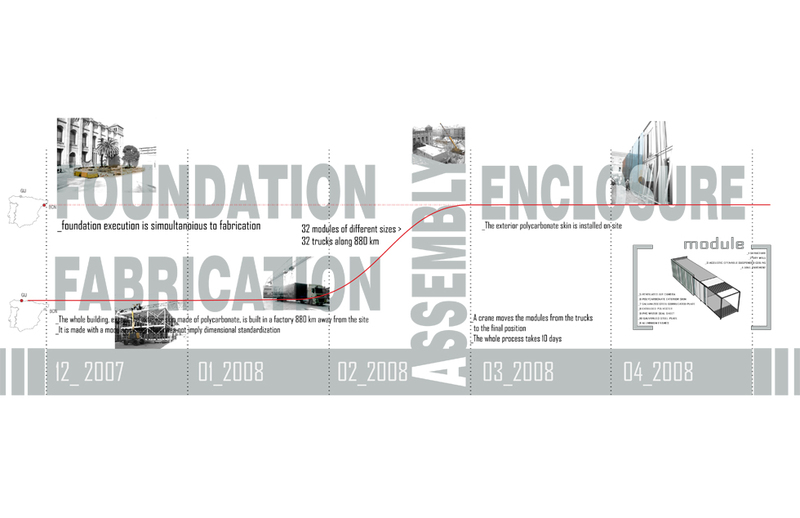 Quality, transportation, and speed, were three of the major constraints of the process. 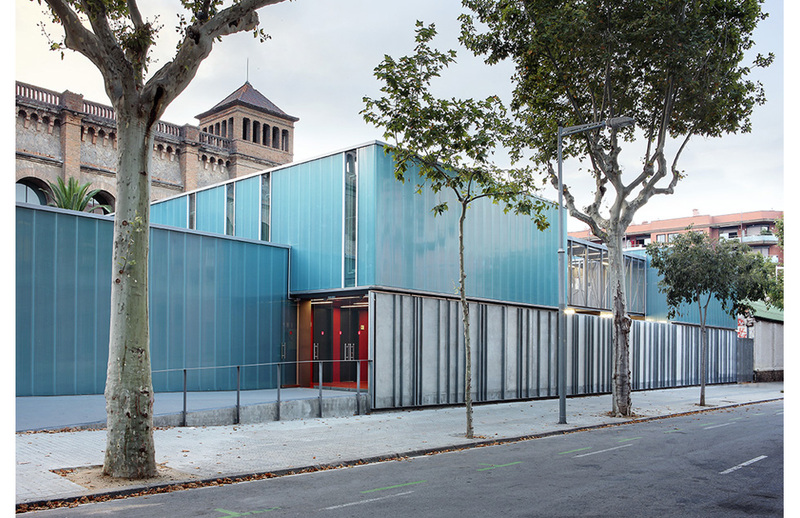 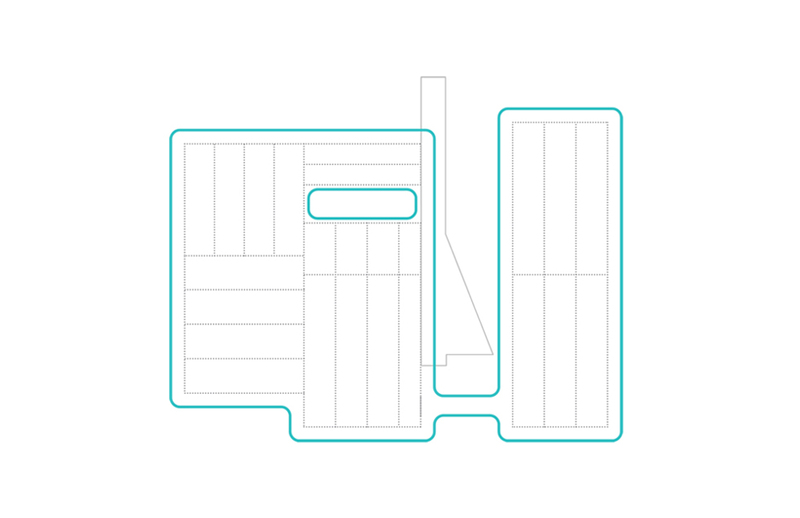 The architectural limitations of the system—by default modulation due to transport optimization—were addressed with the onsite construction of an exterior skin made with recycled polycarbonate.